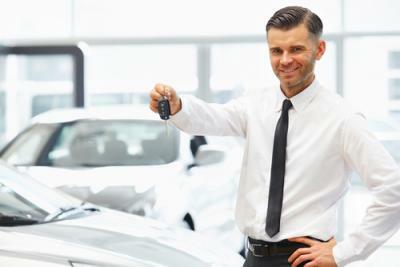 Buying a new car is great fun, or it is as long as you don't think too much about the fact that the simple act of driving it off of the car dealership's lot decreases the value of a vehicle by up to a couple of thousand dollars. Given that reality, coupled with an economy only starting to improve, it is no surprise that more than 2.1mm certified pre-owned vehicles were sold in 2014, marking the 4th straight year of record sales growth. Since most certified pre-owned cars are vehicles coming off of 2Y and 3Y leases (with low mileage and extended warranties backed by their manufacturers), the industry expects the upward sales trend for these vehicles to continue climbing over the new few years. We couldn't help but think of the similarity between shiny new cars and the endless stream of shiny new mobile banking technologies banks have been churning out in recent years. Much like the way savvy consumers are letting those with deeper pockets foot the bill for the right to be a car's first owner, the majority of community banks have been content to allow big bank peers to foot the bill for developing new mobile technologies, to take on the responsibility of testing these applications and to determine which ones will ultimately resonate with consumers. Ironically, even though the big banks are leading the way in the development of mobile banking technologies, outsourcing the development of these applications is just as common among the industry's largest players as it is among its smallest. The major banks not only face the costs of maintaining aging core information technology systems, but the added challenge of adapting these systems to new regulatory requirements and to interact with new technological capabilities. Banks can employ teams of developers, but given that mobile efforts may or may not succeed and many could ultimately be rejected by consumers, even the biggest banks have begun regularly outsourcing development of their mobile banking technologies. This way, they leave the responsibility to others to continuously update and alter these programs to meet changing regulatory requirements and customer preferences. There are numerous IT startups focused on digital financial services and in fact, many big banks are not only relying on IT startups to develop their mobile offerings, but in many cases they are actually taking their own financial stakes in these same companies. They have found there is merit in financially backing the IT companies they have chosen to develop new technologies, helping them to strengthen their business plans and even leading efforts to secure additional funding. While community banks don't have the deep pockets of their giant peers or the ability to invest in the companies they outsource their mobile banking offerings to, the inability to be first to market isn't always bad. Since it is so difficult to determine which technologies consumers will ultimately embrace, small banks have the luxury of leaving the research, development and consumer testing to their bigger peers. Community banks can then pick and choose the products and services they know will truly enhance their businesses. Given how many mobile technologies ultimately fall flat and end up being rapidly thrown overboard by the bigger banks, that's not at all a bad thing. After all, the novelty of the new car smell may be fun, but it's not necessarily worth the money needed to get it. This is especially true when you consider multiple air freshener companies now offer "new car scent" among their options - in some cases for as little as 69 cents. Treasury yields rose 3bps by the close of the session as rising oil prices sparked hopes of inflation. Yields are currently up just under 2bps while market participants wait for consumer credit to be released. The National Association of Realtors reports vacation home purchases jumped to 1.13mm in 2014, a 57% increase over 2013. Strong stock markets, low interest rates and aging baby boomers were cited as key drivers for the increase. A study by business cybersecurity firm ThreatTrack Security finds 30% of businesses say they would negotiate with cybercriminals for the safe recovery of stolen or encrypted data (ransomware) and 74% of those who had been prior ransomware victims said cyber insurance companies should provide professional negotiators to work with the victim and the criminals to resolve the issue. Investors are starting to raise concern there are too few market makers in the bond markets due to changes in regulation and that as such, volatility could be extreme under certain conditions. Of note, Royal Bank of Scotland has an index that measures liquidity in US credit markets that shows liquidity has tanked 70% since the credit crisis. Bankers should be aware and be prepared for unintended and potentially aggressive swings in yields/prices in the US yield curve in coming years until this is all sorted out. Greece is reportedly considering nationalizing its banks and launching a new currency, as they continue to negotiate with Eurozone nations on a path to pay their debt. Interestingly, Reuters reports Greece's finance minister says the country plans to make a loan payment due April 9 to the IMF on time. A survey by Franklin Templeton finds 93% of those who plan to retire are looking forward to it; 59% of retirees say they took Social Security before full retirement age; and 37% say they are not confident in Social Security as an expected income source. The Wall Street Journal reports bond insurers are reaching maximum levels of how much debt tied to property taxes they will insure in Chicago, leading investors to worry the city may be 10Ys away from filing for bankruptcy.